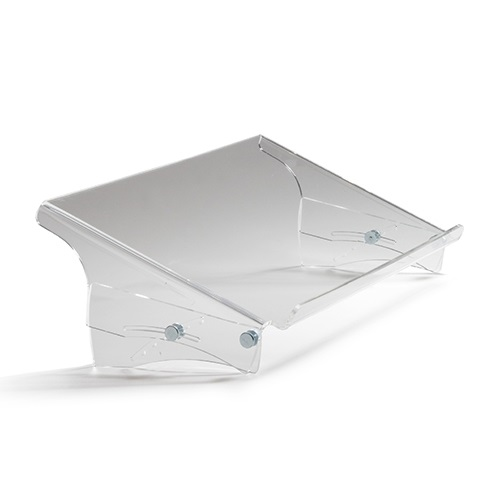 Bakker Elkhuizen Q-doc 515 Adjustable Acrylic Document Holder. Most desktop users work with their computer and documents at the same time. 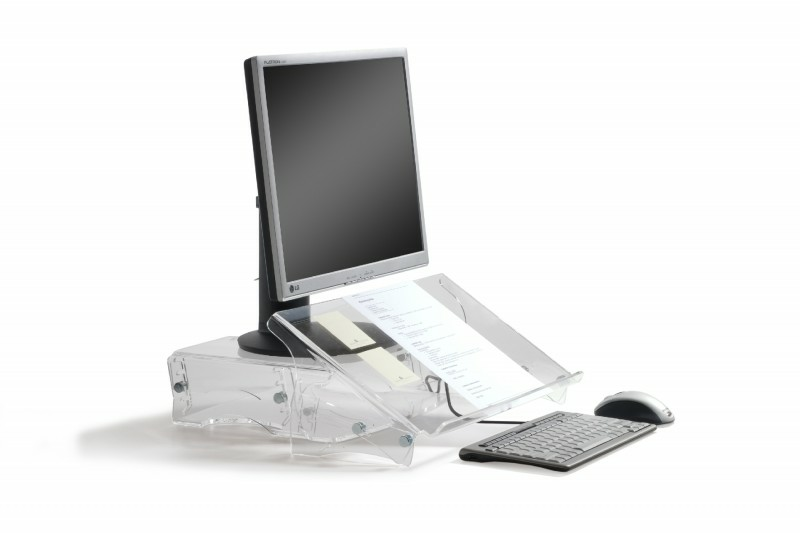 Commonly these papers are on the left or the right of the computer user, whereby the neck strain increases.The 'in-line' document holder increases the productivity, working simultaneously with the monitor and the document. The document holder enables the user to create extra workspace to organize documents, notes, mobile phone, PDA, post-it Notes just right in front of the user.